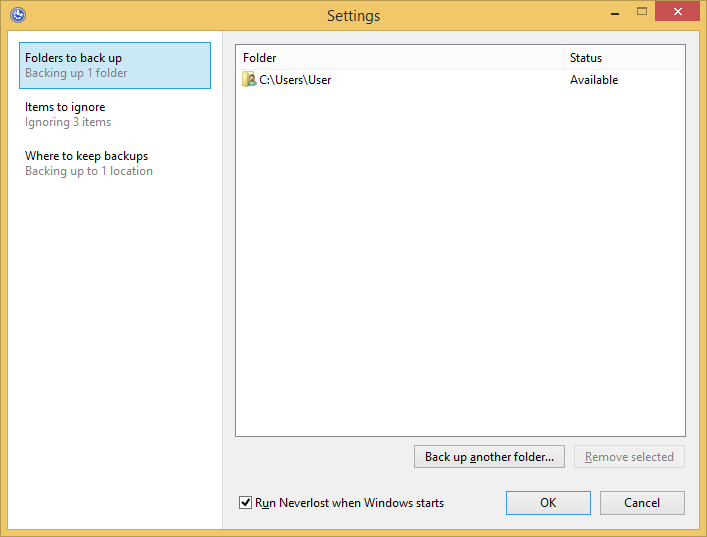 HyperOs Neverlost is a background incremental automatic Windows backup application which backs up every new file you make, the second you make it, to any destination you choose. This is not a scheduled backup application. It is a constant, all-day, 24/7, second-by-second data auto backup background application for all of your work. HyperOs Neverlost is the world's smallest and simplest background incremental data backup software. Try the HyperOs Neverlost incremental auto backup and your data will never be lost again. HyperOs Neverlost sits in the system tray with an icon which tells you what it is doing. Using this icon you can open the backup browser and see everything that you have backed up and choose what to restore, what to delete or change the settings for your source files (to be backed up) or target files (backed up files). It is just one tiny little 1.4 MB exe and is designed to use very little CPU power and to cause very little IO strain. You may notice a slow down if it is backing up a large file to a slow USB2 stick. But with USB3 or HDD or network or cloud storage Neverlost should not effect your PC performance noticeably. The autobackups are incremental rather than differential or full so Neverlost only backs up the changes you have made to a file and adds them to the old copy of the file. It does not have to backup the entire file each time you update it. The purpose of a computer is to get, store, organise, manipulate and present data — not to lose data. But who has a PC which has never lost important data at some time? To ensure that your PC does what a PC is supposed to do (retain all data unless otherwise instructed), get HyperOs Neverlost.